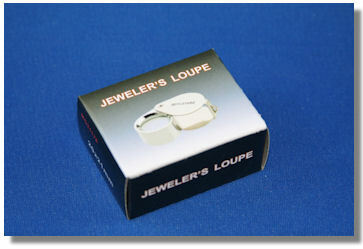 We have been looking for a good jeweler's loupe that will not break the bank. This is it. Well built, good optics and something that everyone can afford. 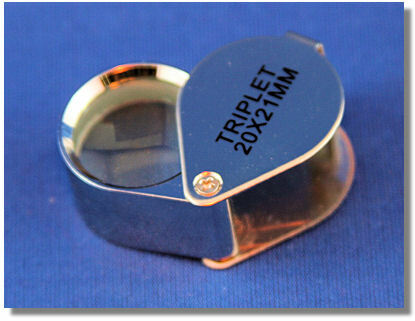 Our main goal with this loupe was that it would be a triplet loupe, have good optics and would not break the next day. Finally we wanted a loupe that you could give to a kid (or use yourself) and then not have to cry when the child lost the loupe. This just fits the bill every way around. You will love it. 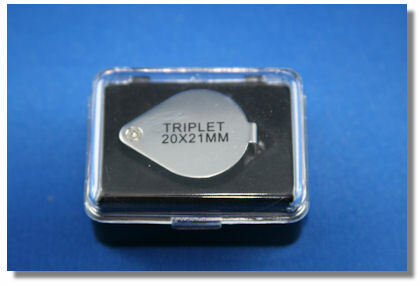 This is a 10X loupe (even though it does say 20X - that was a misprint). It has all the power you will ever need. These come in a nice plastic box inside a cardboard box. The loupe itself a made of sturdy metal and once you hold this in your hands, you will be amazed at the price we sell it for. This is mailed 1st class mail. We also carry the world famous Carl Zeiss D36 9X loupe. While this is an expensive loupe, it has, by far the finest optics that money can buy.